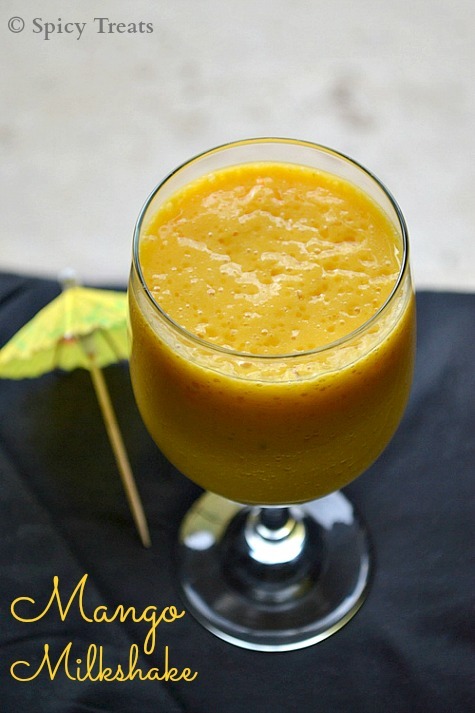 Spicy Treats: Mango Milkshake / Mango Drinks - Summer Special!! 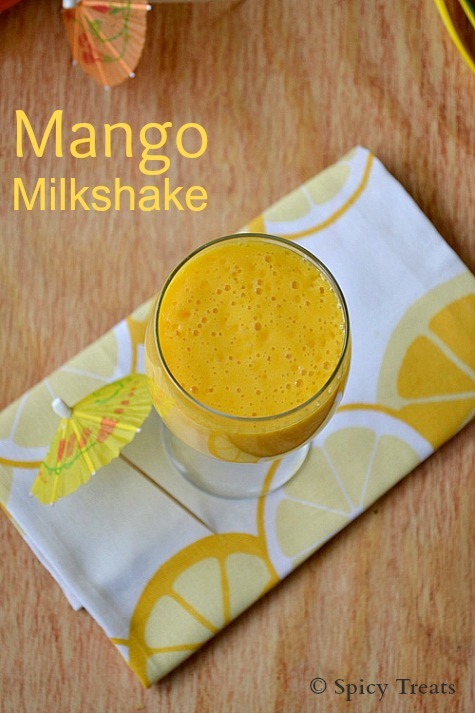 Wash n cut mangoes scoop out pulp n put it in a blender add 1/4 cup water nlend it to a smooth puree. Then add kulfi/ice cream run until combine well and lastly add milk and run for few seconds. Thats it..yummy mango milkshake ready. Pour into serving glasses n enjoy! Use well ripe mangoes. I did not add even a pinch of sugar, sweet from fresh mangoes n kulfi itself enough for us. If u wish u can add as per ur taste. I added 1/4cup water but u can very well replace it with milk too. *Instead of kulfi u can use 2scoops of mango icecream or vanilla icecream. Really yummy! nice pics too! yummy milkshake dear.. like all the clicks..
Looks so creamilicious and yummy akka, using kulfi is really a lovely idea, it will make the shake even more delightful!! Lovely clicks :) Keep rocking!! Nice idea of adding the kulfi, the milkshake should have been richer and tastier..